F Troop is a satirical American television sitcom about U.S. soldiers and American Indians in the Wild West during the 1860s that originally aired for two seasons on ABC. It debuted in the United States on September 14, 1965 and concluded its run on April 6, 1967 with a total of 65 episodes. The first season of 34 episodes was broadcast in black-and-white, the second season in color. 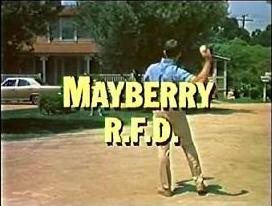 Mayberry R.F.D. is an American television series produced as a spin-off and direct continuation of The Andy Griffith Show. When star Andy Griffith decided to leave his series, most of the supporting characters returned for the retitled program, which ran for three seasons on the CBS Television Network from 1968–1971. Paul 'Trouble' Anderson was a British DJ, playing soul, disco, funk, and house music and known for his long-running Kiss FM show. He worked as a dance music DJ in clubs from 1979 until his death in 2018. He produced a number of mix albums and remixed records by other artists. Zacharie Séry Bailly, or Séry Bailly, was an Ivorian academic, politician and short-story writer, born in Abidjan, Ivory Coast. Chairperson of Harris Memel-Fotê-Jean Jaurès Fondation in Abidjan, he was also vice-chairman of the Academy of sciences, arts, cultures of Africa and the African diaspora (ASCAD). Jean-François Ballester was a French figure skating coach. He is best known for his work with Aliona Savchenko / Bruno Massot, who won gold at the 2018 Winter Olympics, 2018 World Championships and 2017–18 Grand Prix Final. Markus Beyer was a German professional boxer who won the WBC super middleweight title. As an amateur he represented Germany at the 1992 and 1996 Olympics in the light middleweight division. He also won a bronze medal at the 1995 World Amateur Boxing Championships and silver at the 1996 European Amateur Boxing Championships. Boxing at the 1992 Summer Olympics took place in the old Pavelló Club Joventut Badalona in Barcelona. The boxing schedule began on 26 July and ended on 9 August. Twelve boxing events were contested, with the participation of 336 athletes from 78 countries. Boxing at the 1996 Summer Olympics took place in the Alexander Memorial Coliseum in Atlanta. The boxing schedule began on 20 July and ended on 4 August. Twelve boxing events were contested, with the participation of 355 athletes from 97 countries. Kadyrzhan Batyrov was a Kyrgyz businessman and politician of the Uzbek origins. Nurhayati Srihardini Siti Nukatin, better known by her pen name Nh. Dini, was an Indonesian novelist and feminist. She was the youngest of five children of Saljowidjojo and Kusaminah. One branch of the family can be traced back to the Bugis of South Sulawesi. Selma Engel-Wijnberg was one of only two Dutch Jewish Holocaust survivors of the Sobibor extermination camp. She escaped during the 1943 uprising, hid in Poland, and survived the war. Engel-Wijnberg immigrated to the United States from Israel with her family in 1957, settling in Branford, Connecticut. She returned to Europe again only to testify against the war criminals of Sobibor. In 2010 she was in the Netherlands to receive the governmental honor of Knight in the Order of Oranje-Nassau. 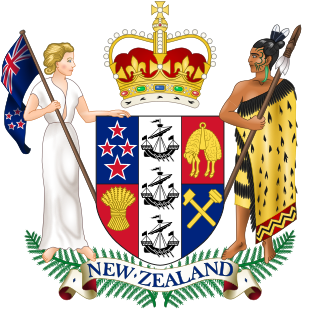 John Gordon Armstrong was a New Zealand politician of the National Party. Peter James Boizot, MBE was an English entrepreneur, restaurateur, politician, art collector and philanthropist. He is best known as the founder of PizzaExpress. ↑ Beloved American surgeon has died at the age of 104 years old. ↑ Bishop Robert Kerketta, S.D.B. ↑ R. Conrad Leslie, Jr.
↑ In Memory of Alfred Chester Nelsen, Jr.
↑ Obituary for Mr. Peter Lovrich Jr.
↑ Dr. Larry Roberts, Internet Pioneer, is dead.